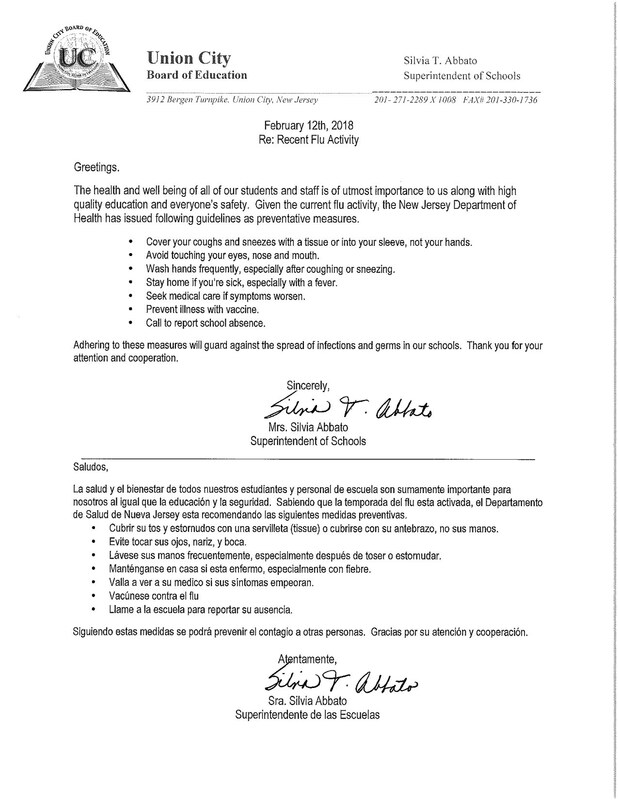 The health and well being of all of our students and staff is of utmost importance to us along with high quality education and everyone's safety. Given the current flu activity, the New Jersey Department of Health has issued following guidelines as preventative measures. Cover your coughs and sneezes with a tissue or into your sleeve, not your hands. Wash hands frequently, especially after coughing or sneezing. Stay home if you're sick, especially with a fever. Seek medical care if symptoms worsen. Call to report school absence. 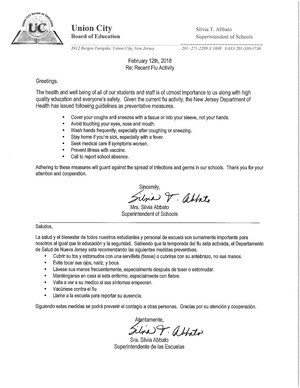 Adhering to these measures will guard against the spread of infections and germs in our schools. Thank you for your attention and cooperation.